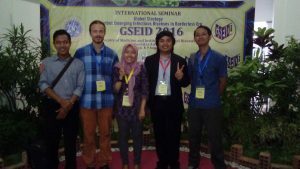 My first internship was placed in Surabaya, East Java. I chose to attend an exchange at tropical unit. Approximately a month before the clerkship I received the letter of acceptance, and a short time after also a first message from my contact person. My communication with local committee started a little bit confusing, as I had many questions, and it took quite a long time to get a reply. Things have changed short time before I got to the hosting city, as my contact person typed me to wait for her at the airport. This girl was so willing to help me any time, she took me from airport, showed me my accomodation, explained me the principles of traffic in Surabaya, which is itself an adventure for European. And not to forget, invited me for an Indonesian lunch in warung, the street restaurant. To summarize, bad feelings in advance were replaced by very pleasant first contact. My personal experience was the best cooperation with students ever. Immediately I got in contact with my local schoolmates, I could join their schedule, following them through their routine. I even did not have to ask them to speak English with me, they switched into English instantly as they saw me. 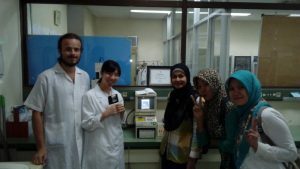 What stayed the most strange in my memory was the strong character of Indonesian medical students: they receive so little from the institution educating them, and though they are so skilled, I was learning from them every single minute. They remain kind even being tired of their regime, they smile after two days without closing an eye. I felt being one of them after a first nightshift, the trust between people took just a short while there. 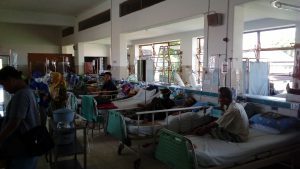 As I was communicating with students almost the whole month, very little with doctors, I felt the language barrier just few times. Students spoke English fluently, what can not be said about doctors. Doctors often tend to ignore students. Do not expect much partying with Indonesian clinical students, they are not boring any way, they truly have so little time to spare. Hanging out with exchange students is obvious, but to agree with my local schoolmates about getting out for a dinner took me the whole month. 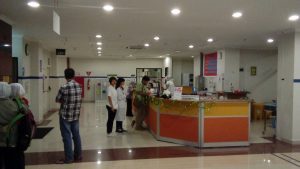 As I spent the longest time of all in the hospital, I experienced two rounds of exchange students, the July and August group, so I was glad for collecting so many foreign contacts. Surabaya provides no regular public transportation, just multiple forms of taxi. It is always better to agree with somebody else to travel together, the prize will be always lower. You can use motorbike taxi, called gojek, or classical taxi car, but pay attention to choose just blue taxis. Avoid accepting the first prize anywhere, remember you are a foreigner, visible from the distance, and so a potential source of easy money. Simply, do not buy ANYTHING at the station, it will cost multiple times the appropriate amount. Otherwise, if to trust people, only out of the stations. According to my accomodation, I was placed in a student guesthouse with Indonesian students. Kitchen was available, I cooked myself. I dryed my clothes on a roof. Plenty of cheap laundries were available as I heared, but I preferred to wash my clothes myself. The traditional Indonesian bathroom consisted of a basin with water and a plastic dipper. Some visitors did not like this system, even complained about it, but I knew the bathroom is clean. What to say about kitchen? If you dislike cockroaches, do not be afraid. You will get used to them. When it comes to alimentation, I was not satisfied with financial coverage. Absolutely nothing was included. We got symbolic pocket money later, after some of us complained about it. Luckily, Indonesia belongs to cheaper countries, so we could afford to buy our own food all the time. Indonesian cuisine tastes well, but I have to say a little warning, some foreigners tend to react by diarrhea after few days in the country. I strongly recommend to bring an active coal with. Be careful about taking your shoes off inside, though how friendly Indonesians are, they consider it rude. Social program officially consisted just of a single dinner. Though, we met multiple local students, pre-clinical or residents, having enough time to show us the city and neighbourhood. I saw two most famous Javan volcanoes, Bromo and Ijen, because of a friendly local schoolmate. 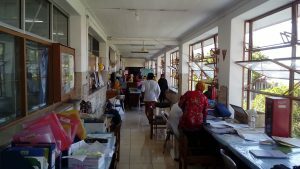 Indonesia does not work official way, but every time somebody appears to help you.